Annual Message to Congress with Documents ; Pres. Arthur. 4 Dec. HED 1, 47-2 , v1-14, 11 , 112p. [2090-2103] 1882 The Indian policy of allotment, education, and extending jurisdiction over tribes ; annual report of the Sec. of War (Serials 2091-2096); annual report of the Sec. 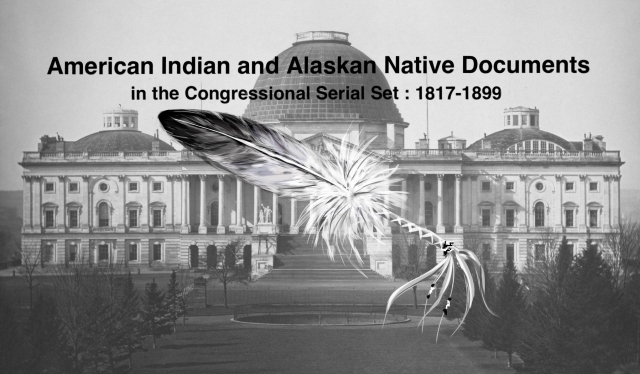 of Interior (Serials 2099-2102) ; annual report of the Gen. Land Office (Serial 2099) ; annual report of the CIA (Serial 2100) , including railroad rights of way through Indian reservations, appropriations needed, education, annuities, Sioux commissian appointed in 1882, and reports of agents; etc.